Rugs can be the anchor of a room. They can help you ground or define a space. My old home had a very open floor plan, so some of the first things I purchased for that house were rugs. They helped me define seating areas, and in a house with hardwood floors they added some warmth. The picture above is my old living/family room. I loved the light and size of that room, but the long length made just one seating area feel too small to really fill the room. When I updated the room, I added two rugs to help unify the space while creating more intimate seating areas. One thing I have learned over time is that if you have a pet or children (or both), your rugs need to be durable enough to withstand any spills and accidents that come your way. Rugs are generally a big investment so having to replace them the first time someone accidentally spills juice or wine on it is just crazy. The grey rugs in our living room have lots of pattern to them which helps keep them from showing dirt or stains. About a month after we got the new rugs my oldest daughter, who was recovering from a stomach bug, spilled her red gatorade on the rug. When I saw the mess my heart sank a bit but the Spot Bot rug cleaner worked, and the pattern hid any further evidence of the spill. I am still working on our new home and I have been doing some research on some new durable rugs that look great and can be easily cleaned when disaster strikes. So I thought I would follow up on my post about decorating with kids and pets and share some of the great options I have found. I was flipping through a Garnet Hill catalogue the other day when I saw these vinyl floor mats. I was so taken with the variety of colors and styles that I did a little research and found that they are made by Spicher and Company. The rugs are a printed on a non slip vinyl material so they can be used in high traffic areas. They are indoor/outdoor rugs so they can withstand water and spills. The reviews I have read online have all been five stars. Having a rug that can be cleaned so easily makes it perfect for kitchens, laundry room, porches and entry ways: places where a traditional rug might not work as well. I was so impressed with them that I ordered one from Rugs Direct. I should mention that I don’t have any kind of deal with this company. They just had a great selection of these rugs at a good price. So when I get my new rug in I will have to tell you all about it. The great thing is that each pattern comes in a wide variety of shapes and sizes. I have a set of double front doors so finding an entry way rug has been a challenge since, but I found one in an odd length. So, if you have a small or unusual sized space they might have an option that works for you. Now without further ado, here are some of their great patterns. I could see this classic black and white pattern in a kitchen or entry way. They have such a variety that they even have some southwestern inspired rugs in multiple different colors. They also have a large selection of mats inspired by vintage tiles. These floor mats remind me of the very popular and pretty cement tiles that I have seen in many kitchens and bathrooms. If you want to give your kitchen or bathroom an update without investing in all new flooring these mats can give you that feel and if you ever get tired of the look it can be easily changed. Another Company I love is Dash and Albert. The owner and designer Annie Selke named her company after her dogs. She is such a dog lover that you can clearly see how that helped influence her company’s large line of pet friendly indoor/outdoor rugs. I have these rugs in several bedrooms in my home. They work well over carpet and I have put mine in the washing machine when it has gotten dirty and it cleaned so easily that I just love these rugs. Dash and Albert’s rugs come in a wide variety of colors and patterns. I really like their classic stripes. I also like their versitile diamond pattern which comes in a many colors. I have used the rug in a smaller size in my daughter’s bedroom, but I have also seen this rug used in a large mid-century modern living room. Annie Selke’s home was featured in House Beautiful. In the link you can see how she used it in a modern spring green. 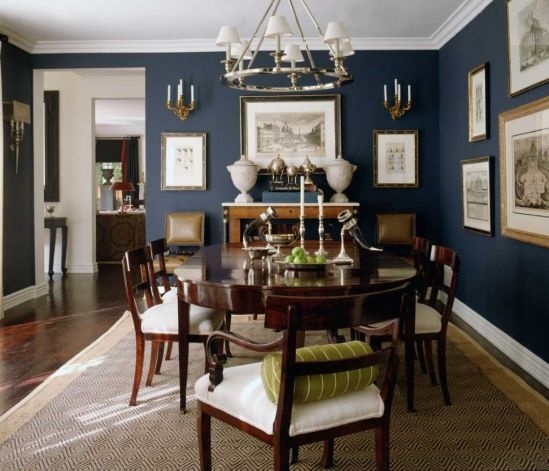 I have also seen the rug used in brown in a formal dining room done by designer Mary McDonald (see link from Bing) and I loved how she used it to add texture and pattern to a sophisticated and traditional room. I have also purchased outdoor rugs from Ballard Designs. I used one under my breakfast room table at my old home. It is very durable. It takes spills like a champ and is easy to clean. I love the colors in the rug so much that it is now in our new den/playroom. Here are some other options from Ballard Designs. Or for a more modern feel here is a black and white stripe. Sometimes it’s nice to get the feel and texture of a wool carpet. Outdoor rugs are great, but I will admit that they don’t have that soft feeling on your feet like a wool carpet does. I have liked the gray rugs I have in my living room pictured at the top of this post. They have a great texture and they just feel good if you are walking barefoot in the house. They came from Pottery Barn and I think the key to finding a durable wool rug is to get one with dark colors or with enough pattern to keep any stains from showing. I was looking at Pottery Barn’s selection and I really liked this Braylin pattern. I could see it working well in a dining room or living room. The dark navy color and the pretty pattern makes it a durable and stylish choice. My girls and especially my dog have put our rugs to the test. I have definitely had a moment when I questioned the compatibly of rugs and dogs. When I discovered our dog had ruined the hardwood floor below her favorite spot on our dining room rug I was ready to just give up on rugs. However, I have come to the conclusion that with some better research and a good quality rug pad with a seperate plastic lining, dogs and rugs can coexist. Rugs do so much to enhance and define your space that its worth taking the time to find the right option that can anchor your room without succumbing the inevitable waves, splashes and spills that life brings.